À mes lecteurs français : Mes cinq jours à Florence pour Pitti Fragranze m'ont fait un bien fou, mais ont dévasté mon calendrier d'échéances professionnelles... En attendant de pouvoir rédiger un petit billet sur le salon, voici le communiqué de presse, en anglais, désolée (avec un livre de 600 pages à traduire en express, je n'aurai pas le temps de m'attaquer à ce texte-ci!). A 26% rise in public attendance at Fragranze and over 2,700 visitors.The fair continues to be an international reference pointfor artistic perfumery and contemporary olfactory culture. Big success for all the events and special projects featured at this edition. 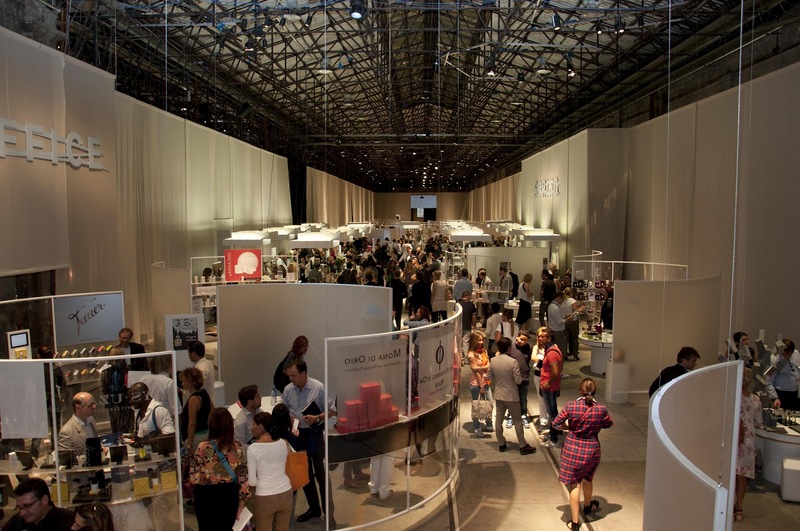 The 10th edition of Fragranze (Florence 14-16 September 2012), the Pitti Immagine fair-event dedicated to the best proposals from the world of artistic perfumery, closed yesterday at the Stazione Leopolda registering significant results in terms of attendance and quality. A total of 2,730 visitors attended over the three days of the event (+ 26% compared to the 2,170 visitors in September 2011), to see the latest proposals from 213 international sector brands. The final figures once again confirm the highly international dimension of Fragranze: there was a total of 1,520 buyers, of which almost 300 were from abroad, an increase of almost 30%. France held the top position (+ 70%), while the figures for the United Kingdom nearly doubled and there were excellent performances from Switzerland, Spain, the Ukraine, Poland and the United States. Many important buyers also arrived from new markets in the former Soviet Union (Azerbaijan, Armenia, Kazakhstan), the United Arab Emirates and Kuwait, as well as the most important South American markets. “Fragranze has once again shown that it is becoming an increasingly international platform”, says Agostino Poletto, deputy general manager of Pitti Immagine, “in terms of the brands participating at the Leopolda (almost 70% of which came from abroad) and, above all, the attendance of buyers from all over the world. We received very positive feedback from all the exhibitors about the quality of the public attending, the stage direction of the initiatives organized and the high profile of the products and special events that focused on olfactory culture. I should add that the selection of new ideas for the Spring area dedicated to up-and-coming brands and new essence creators worked very well and that this area is becoming one of the fair’s greatest strengths. We also noticed a high level of interest in this edition of Fragranze amongst the Italian and international press. And finally, on the day we opened to the public of essence enthusiasts, we had almost 1,000 visitors”. The packed calendar of events, special projects and presentations that accompanied Fragranze were also very well received by the public and media. These included a trip around the world with the installation Every Bottle of Perfume contains a world by Chandler Burr, the star of contemporary olfactory culture, who also presented one of his famous Scent Dinners and a lecture on the French “nose” Jean-Claude Ellena. There was also the Observatory on trends and the latest figures for the perfumery market presented by IFF – International Flavors & Fragrances, a leading US company in the production and marketing of components for essences and aromas for the food, cosmetics and fragrance sectors. “This is my first visit to Pitti Fragranze and I couldn’t wait to come! There are so many things to see, so many new ideas and up-to-date products. Here I found brands that we display as well as some truly high quality niche brands. Plus sophisticated fragrances and essences, including some derived from some types of wine and others contained within bottles that are regular works of art. I felt a truly positive energy: the atmosphere was peaceful and very agreeable so our work also became an opportunity for human exchange”. 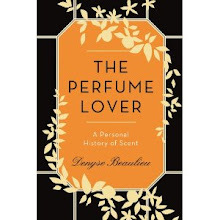 “I am an historic Fragranze buyer and find this fair to be decidedly superior to many others, in terms of the level and quality of the products, even though work never stops on improving product quality and research. 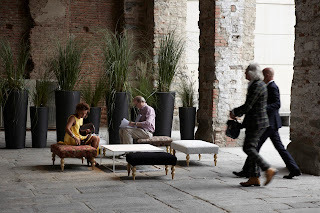 The Stazione Leopolda is an excellent location for the fair: beautiful, historic, with a truly interesting layout and, above all, highly suitable for members of the trade. I noticed some interesting new trends in the world of artistic perfumery such as fragrances that are characterized by just a few notes, which represent a new artistic path. These are very particular perfumes that manage to create small “magic spells”. They are like Expressionist painters amidst a wealth of Renaissance paintings”. Joanna Missala “Quality” – Warsaw (Poland)“We have four boutiques in Poland, we are distributors as well as retailers and for us Fragranze is an excellent place to interact with other members of the trade. The layout of the fair is very exclusive, it is well suited to the high level of the brands showcased and also favors a more functional presentation of the products. The brands – niche and exclusive – are very interesting. Particularly useful were the lectures and conferences held in parallel with the fair. The “Every Bottle of Perfume Contains a World” installation by Chandler Burr was particularly beautiful and unique”. “For us, Pitti Fragranze is a useful way for meeting distributors and producers rather than for viewing products. This is very important, especially in the artistic perfumery sector which is a very small world where it helps to be able to grasp the thoughts and concepts hidden behind a certain product. Fragranze makes contemporary olfactory culture spectacular in the positive sense of the word. There are conferences, international special guests and beautiful installations. And the Stazione Leopolda is a unique location in Florence, which is so rich in art. I found the “Spring” section very interesting: there were excellent new ideas that had been very well selected. I identified two very strong trends. Fragrances characterized by simple, clean notes, suitable for a wider audience, and perfumes with great character for the more limited niche group of true connoisseurs”. “We have attended Fragranze for ten years and really like this fair. It gets better every year in terms of exhibition quality and brand scouting. It is really the best fair, an excellent showcase for niche and up-and-coming brands. We are distributors and are always looking for new products. So Fragranze is an important occasion for meeting our partners and discussing strategies and new ideas. The trends? It is difficult to talk about specific trends but I identified some very unusual products that I don’t think will go unnoticed”. “This is the first time I have come to Fragranze. I have taken part in many events dedicated to the world of artistic perfumery in Cannes, Dusseldorf, Milan… but this is something truly special. It is a very small, well-organized ambient, with just a few exhibitors and niche brands of the highest quality. 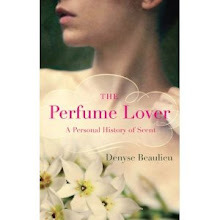 The fragrances are not commercial, they have their own history, concepts and ideas. 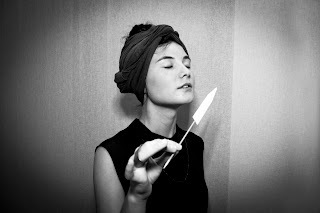 Fragranze means specialties, the luxury of detail, for sophisticated “noses”! I found some very interesting products, special perfumes that are completely different from any others, as well as a vast range of home and body-care products, plus interesting accessories linked to the world of perfumery. The fair organization and buyer relations were excellent. The city is marvelous, the fair is very welcoming and has a truly unique layout”.